It’s a Christmas Dinner but with a twist. All the very best ingredients go in to the making of this sumptuous, five course extravaganza. 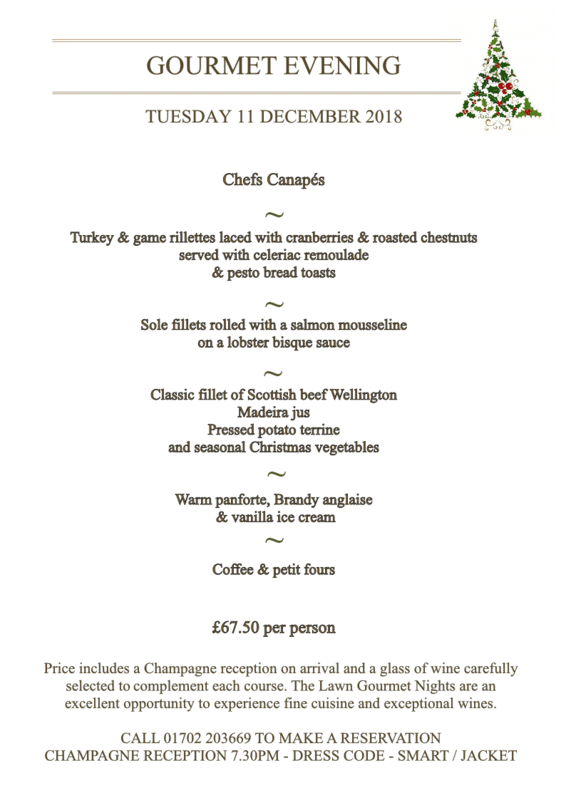 Preceded by a Champagne reception and with each course complemented with a delicious and carefully selected wine, this really is celebrating Christmas in style!